There was a sense at our last meeting that this group — Cooperatively Yours — could have a real impact on life at our coop if we could have a stronger organization that promoted activities and encouraged engagement all year long. Who are you? What are you involved in? And how would you be willing to help us even more? 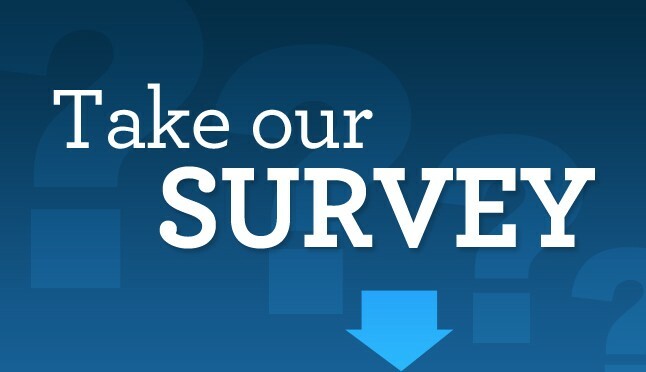 Please fill out the brief survey below and encourage your neighbors to do so as well — it’ll give us a much better idea of where to go from here. Over the past 24 hours, the letter below has been slipped under every door at East River Co-op. Thank you to everyone to contributed to copies and distribution. 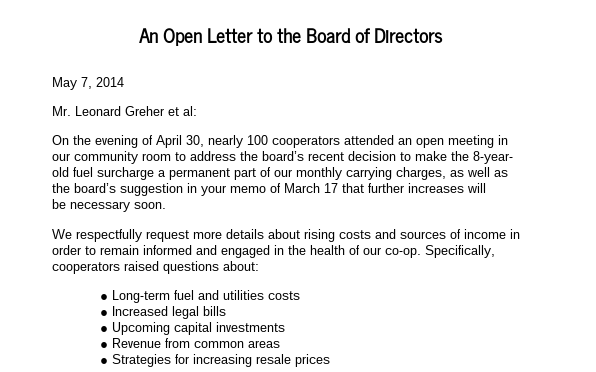 Enclosed please find an open letter to the board of directors distributed to all cooperators. I was asked to moderate an open meeting on April 30 for all shareholders to discuss the board’s March 17 memo on carrying charges. With input from other participants, I prepared the enclosed letter to summarize the issues raised at that meeting. It is the hope of those who attended our meeting that you will have the time to address these questions. May I add that I think our meeting was constructive and positive, convened out of a natural desire for more information. The public airing of these questions is not intended to antagonize, only to encourage a broader and more in-depth dialogue. I hope you accept this in that spirit. If you’d still like to add your name (virtually) to the letter, please do so in the comments section below.